Oopsie. 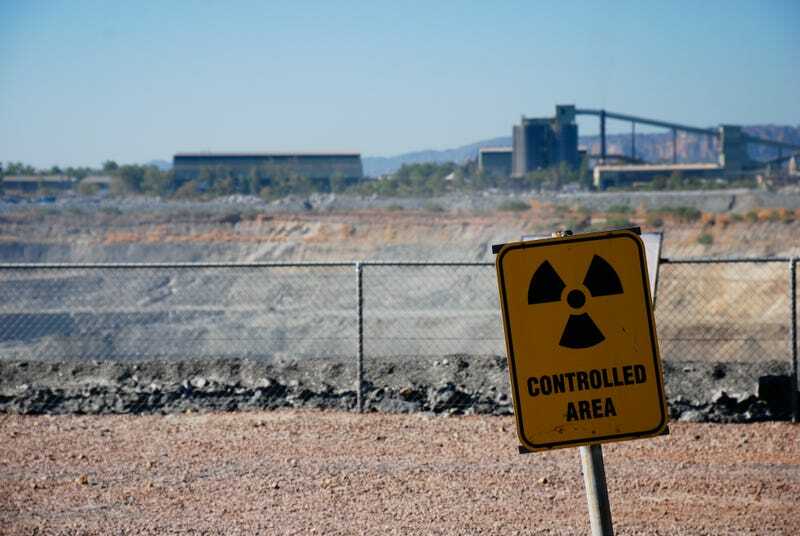 About a million liters of radioactive acid sludge accidentally poured out of a tank at the Ranger uranium mine in northern Australia. As if the spill itself weren't bad enough, the mine is also located in the Kakadu National Park, where most of Crocodile Dundee was filmed. That place is a national treasure. Luckily, this catastrophic-sounding event might be resolved without too much destruction. The people who run the mine say they can clean up the mess easily and there's been "no impact to the environment," because the spill was confined to the mine. Whether or not this is actually true remains to be seen, as the radioactive acid sludge is strong enough to damage the local ecosystem if it makes it into the nearby water supply. Again, this would be bad since this mine is sitting smack dab in the middle of a UNESCO World Heritage Site. What's a toxic uranium mine doing in the middle of a national park full of indigenous Australians and elegant wildlife, you might ask? The Green Party in Australia has no idea and has been trying to get the mine closed for years. However, the mine owners argue that the giant vat of radioactive sludge they've dug in the middle of the wilderness isn't technically part of the Kakadu National Park. Nevermind the fact that an estimated 100,000 liters of contaminated water leak from the mine into the ground on a daily basis, according to a 2009 government report, and that spills like this most recent one actually happen pretty often.